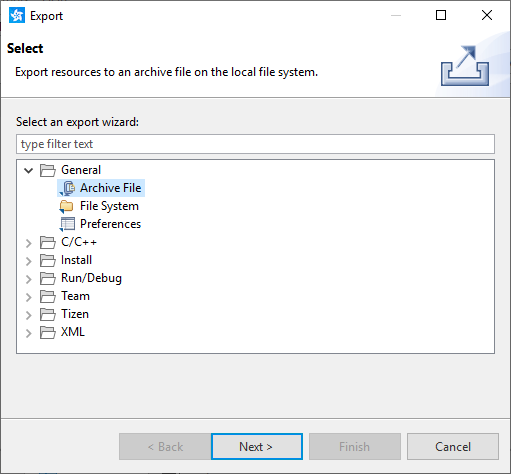 This topic describes how to export TV applications that include Native Client modules. 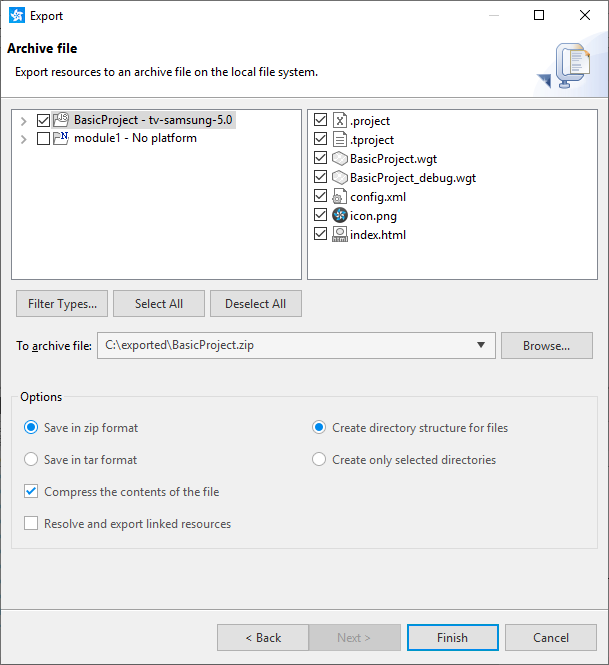 Select only the TV application project. The linked NaCl projects are already included in the "nacl_modules" directory within the TV application project. 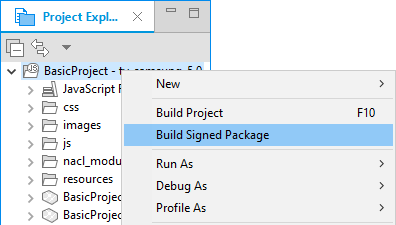 In the "Project Explorer" view, right-click the project and select "Build Signed Package".